At the Photo Documentation Project on May 31, 2013 we (FCD divers Bernil and Doc Amores) managed to collect specimens for our resident scientists. 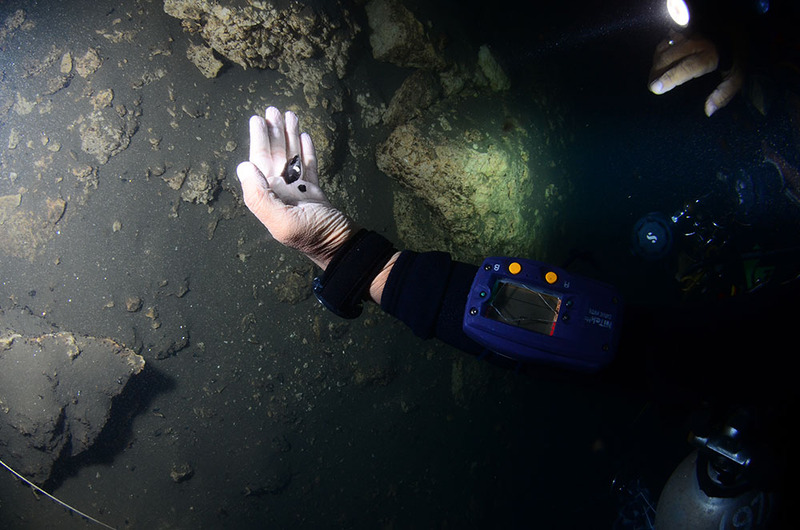 Prehistoric remnants of coral colonies, likely millions of years old, are preserved by the Pawod environment. 1. A pair of specimens embedded in the walls of the northwest quadrant of Doc’s Chamber. 2. Close-up showing the intricate details of the coral polyp cavity. 1. A unique formation of scorched small bits of branching coral randomly embedded in soft limestone. 2. Close-up of a branch showing the well preserved cavity of the once (millions of years ago) living coral polyp. 3 and 4. A collection of bits of coral skeleton of the branching variety. How old are these specimens? What geologic events and forces brought about the possible widespread scorching? If these coral skeletons are indeed scorched, what intense flash burn occurred? Super volcano (nearest one is in Carmen, Cebu)? Meteor/asteroid? 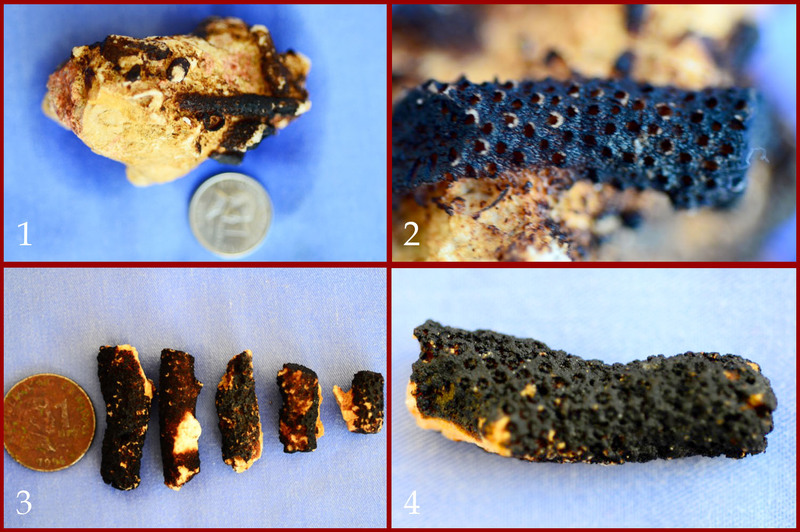 If these are scorched, then the specimen were surface located..and eons older than Pawod cave. PAWOD NEEDS TO BE PROTECTED AND PRESERVED..NOW! Great finding. The other day I watched Cave Diving Expedition in Blue Hole, Bahama and they found skeletons of crocodile, birds, turtle. Thousands of years ago, Bahama wasn’t so barren as it is today. I wonder what the earth will be like thousands of years from now.